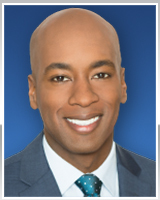 Will Jones joined the ABC 7 Eyewitness News team as a general assignment reporter in January 2016. Before arriving in Chicago, he worked at the NBC affiliate in Detroit, Michigan. While in Detroit, Jones was honored with a Michigan Regional Emmy for Historical/Cultural News. He has also worked as a reporter at stations in Greenville, South Carolina and Charleston, West Virginia. Jones got his start on the assignment desk at a station in his hometown of Cincinnati, Ohio. Jones serves as a board member for the National Association of Black Journalists Chicago Chapter. The chapter received the NABJ Chapter of the Year award in 2018. Jones graduated from the Medill School of Journalism at Northwestern University. A 23-year-old woman was killed Sunday in South Chicago. The funeral has been set for an Illinois State Police trooper who was killed when a wrong-way driver struck his squad car. Ald. Christopher Clark and Harvey Park District President Anthony McCaskill are vying to be Harvey's next mayor.